When I serve barbecue, the question always come up about what vegetable side dishes to make. 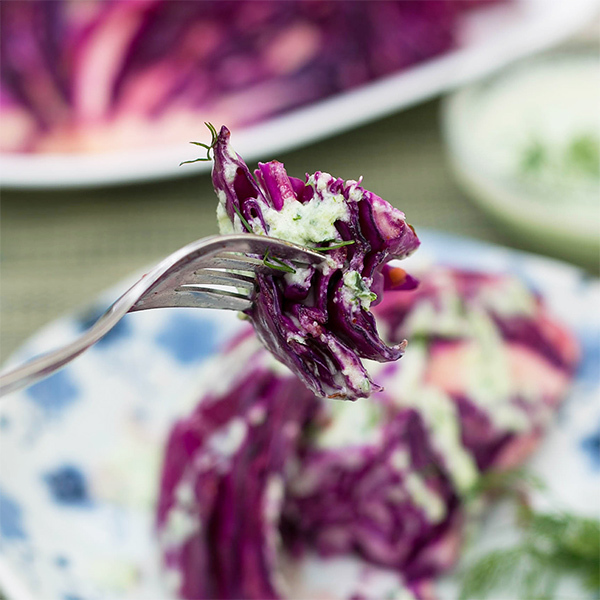 Besides my regular sides like coleslaw and beans, I like to serve some charred pickled cabbage topped with a Greek-inspired yoghurt dill sauce. 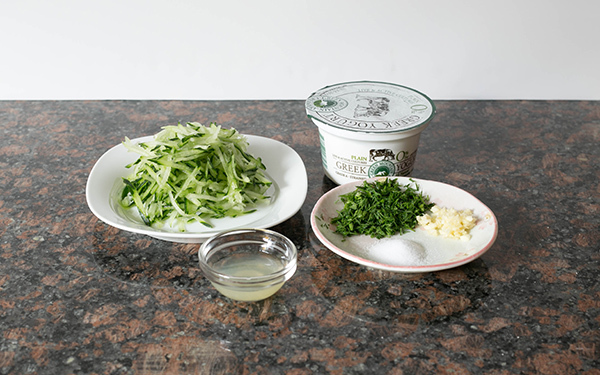 The sweet sour acidic cabbage with the slightly bitter char pairs perfectly with the cool yoghurt dill flavors of the sauce. This side dish can hold its own as a main course and it perfectly complements smoked meats especially pulled pork and beef brisket. 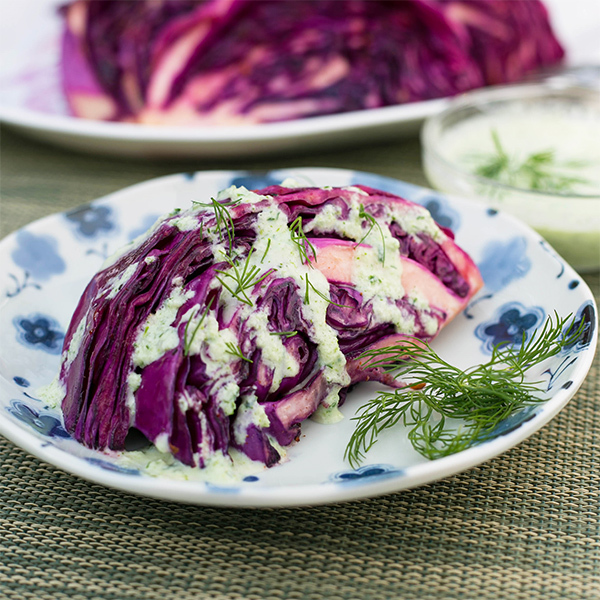 You can do it with regular cabbage but I find purple cabbage makes for a very attractive contrast of colors with the white yoghurt sauce. 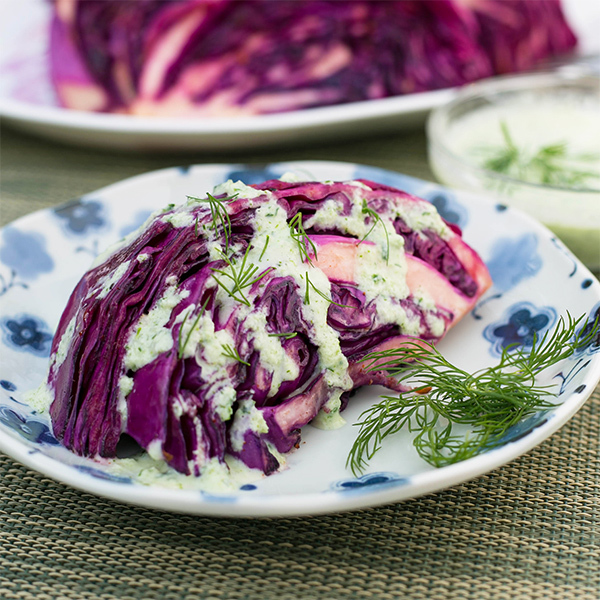 So the next time you want to serve a creative veggie side dish, try my grilled pickled purple cabbage with yoghurt dill sauce. 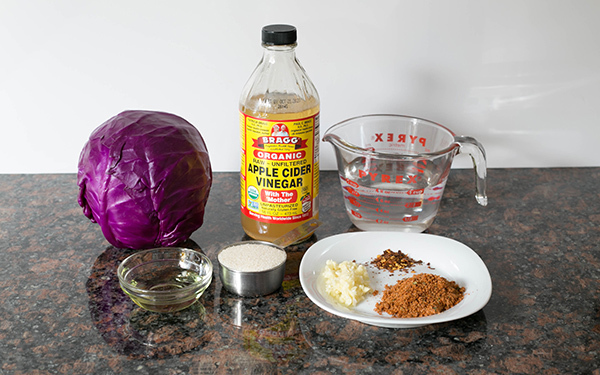 Boil 1 cup water and add the rest of the pickling brine ingredients. Stir until dissolved and turn off heat. 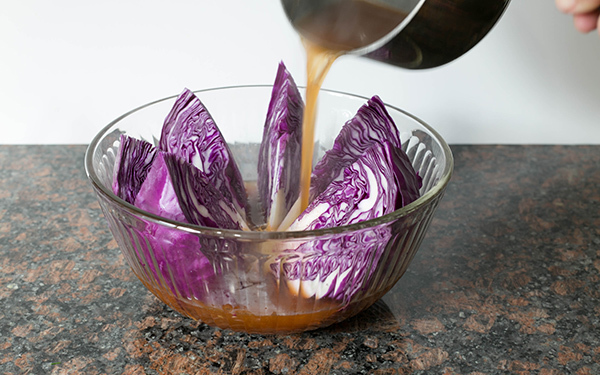 Pour hot liquid over 6 segments of purple cabbage in a bowl. Let sit at least 30 minutes. Remove and drain. 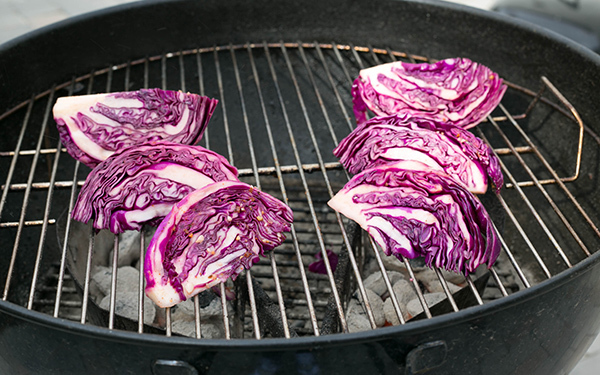 Brush a little vegetable oil on each segment and grill on hot grill until you get a little char.